Headaches can be more complicated than most people realize. Different kinds can have their own set of symptoms, happen for unique reasons, and need different kinds of treatment. Headaches can range in severity from an annoyance to being debilitating. Once you know the type of headache you have, you can find the treatment that’s most likely to help and even try to prevent them. Physical therapy can address many of the causes, such as poor posture, inappropriate work environments, and muscular tightness. Tension Headaches, also called stress headaches, chronic daily headaches, or chronic non-progressive headaches are the most common type among adults and teens. They cause mild to moderate pain and come and go over time. Physical Therapy can help to reduce the incidence and severity of the symptoms of tension headaches. 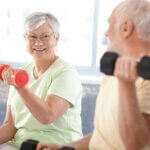 In home physical therapy services are available. Please contact us today at Wilmington, New Castle County & Kent, DE center to schedule an appointment with one of our physical therapists.